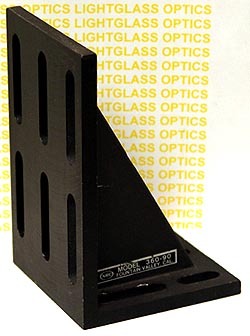 The Newport 360-90 90 degree Angle Bracket is a rigid 90 degree mount for making your own optical setups. It is ready to attach stages such as the Newport 400 series to make your own Z-Axis stage,as well as other optical components. It's hole pattern also allows mounting of Newport's Rotation Stages.